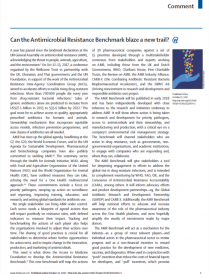 A new Commentary, co-authored by Jayasree K. Iyer, Executive Director of the Access to Medicine Foundation, and Marc Mendelson, Professor of Infectious Diseases and Head of the Division of Infectious Diseases & HIV Medicine, University of Cape Town, published in The Lancet, discusses the potential of the new Antimicrobial Resistance Benchmark to stimulate pharmaceutical companies to limit antimicrobial resistance. 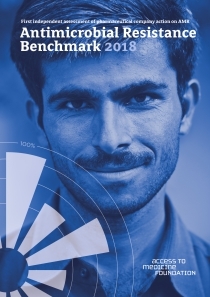 The Antimicrobial Resistance Benchmark is the first independently developed framework for evaluating how pharmaceutical companies are taking action to limit antimicrobial resistance (AMR). It was developed through consultation with stakeholders and experts working in AMR to build consensus on the priorities for pharmaceutical companies in AMR.